2018 Z1000 4X4 REAL ROAD LEGAL BUGGY PRICE SOON !! You asked for a bigger, more powerful side x side so that 's what we built. Introducing the new ZFORCE 1000 EPS side x side from CFMOTO. We have cranked up the intensity with a ferocious 963cc engine that 's ready to rip through terrain like a hot knife through butter. Complete with all of the top of the line features you would expect from a CFMOTO machine, this is one rugged ride. Pictured here with optional roof and half windscreen. 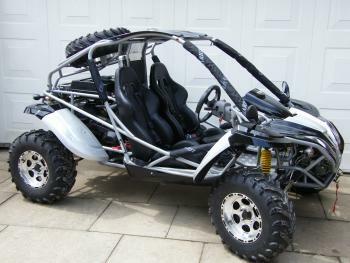 Latest Edition to the Quadzilla Line Up, the New Quadzilla Z8, an ultimate machine for on and off road driving pleasure. It's powerful engine, durable running gear , stylish design and a long list of standard equipment combine to push the Z8 to the top of its class. The Z8`s 'go-anywhere` ability is driven by its 800cc V-Twin engine. The DELPHI electronic fuel injection system delivers crisp throttle response while a selectable 2WD/4WD drive system with differential lock transfers the power to the ground. To handle the toughest of conditions the Z8 is equipped with a durable running gear package. Features of the package include adjustable independent suspension and fourteen inch wheels to deliver more responsive handling and increased traction. Interior features include contoured bucket seats, harness style seat belts, adjustable steering column and full digital instrumentation. MUCKANDFUN would like to introduce the Quadzilla Tracker 550, it is a totally new design Side By Side utility vehicle that uses the latest generation 495cc EFI liquid cooled engine. The Tracker is fully homologated and can be driven anywhere on a full car license. 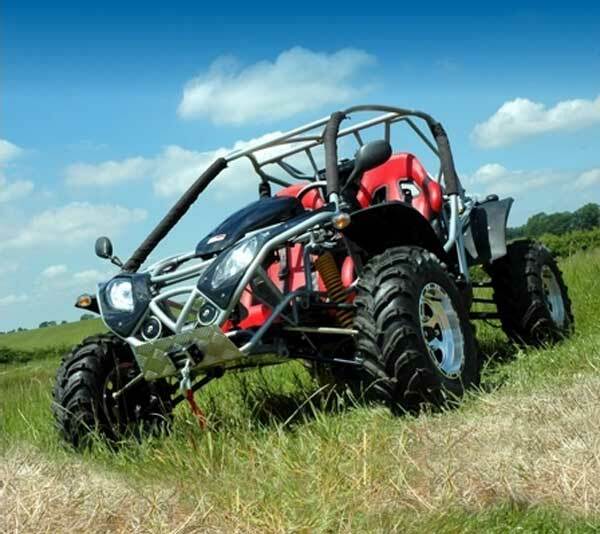 This fantastic model is perfect for use on the farm or as a leisure vehicle for those muddy weekends! 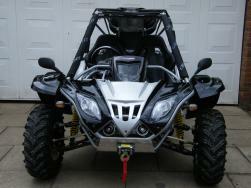 The ultimate machine for on and off road, the QUADZILLA ® Z550 EX 4x4. The Z550 EX go anywhere ability is powered the latest generation 495cc EFi engine, electronic fuel injection delivering a crisp responsive drive. The selectable 2/4WD is engineered to handle the toughest of terrain. The new EX model features extrawide fenders! Out of all the buggies in the world I have bought one of these for my personal use along with the Quad 500 4x4 that we work with every day. Amen.